If you are a fan of motorcycles, (or if you followed professional wrestling during the 90s), you have no doubt heard of the Sturgis Motorcycle Rally. If you haven’t heard of Sturgis before, know that this gathering of riders and revelers in the Black Hills has been taking place since 1938 and has evolved into the summer event to see in South Dakota. 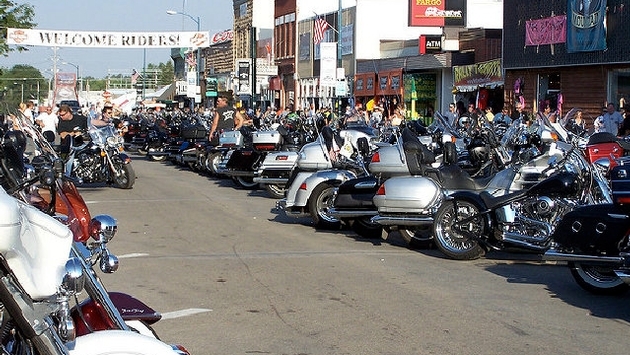 Sturgis is also one of the biggest parties in the United States, period. Along the way, Sturgis became so popular that it even hosted a World Championship Wrestling (WCW) pay-per-view event called Road Wild from 1996-99. Here is all you need to know to enjoy this year’s festival to the fullest, whether you are there to show off your bike or just there for the show. On August 14, 1938, the newly formed Jackpine Gypsies Motorcycle Club held a race between nine participants riding legendary Indian brand motorcycles. They called it the Black Hills Classic back then and, while there may have been only a few onlookers that day, a legend was born. The name was eventually changed to the Sturgis Motorcycle Rally, blossoming into a multi-day soiree that has since swallowed the Sturgis Main Street, which has become the hub of festival activity. Sturgis is located in western South Dakota, near the Black Hills, a stone’s throw from Mt. Rushmore, Deadwood, the Crazy Horse Monument and other iconic sites. 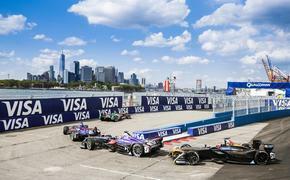 The 77th edition of the festival revved up Friday, August 4 and goes strong until August 13. You don’t have to love motorcycles to have fun at Sturgis, but it certainly helps. Events run the gamut from scenic rides, dirt bike hill climbs and charity rallies to mustache & beard contests, street food competitions, tattoo contests and concerts. Lots and lots of concerts. Yes, the music has become almost as legendary as the motorcycles, with a collection of big names descending each year to rock riders’ socks off at multiple venues across town. Each day is loaded with live music from noon to well past midnight, with this year’s big names including Travis Tritt, Lynyrd Skynyrd, Ozzy Osbourne, Insane Clown Posse and Blink-182. Expect plenty of debauchery around town as the festival has gained a reputation for being the kind of place where the good times definitely roll. Led by the mayor of Sturgis and the festival’s Grand Marshall, celebrity Jessi Combs, this ride will weave through the gorgeous hills, making a stop at Mt. Rushmore before ending in Custer State Park. This ride will seek out some of the finest vistas in the Black Hills and will be led by Discovery Channel personalities the Diesel Brothers and Street Outlaws. Put on by the same motorcycle club that started everything in 1938, the highlights of their 2017 race calendar are the Pro-Am Hill Climb, the Verta-X and the Pearl Hoel Memorial Short Track. Led by the motocross legend Carey Hart, this ride will raise money for a local cause while showing participants some fantastic local landscapes. Visit the official Sturgis Motorcycle Rally website for ride schedules, concert times and additional information.